There are 5 posts filed in NRCPD (this is page 1 of 3). Sign Safe run by Capita? This blog has long recorded the effects privatisation on the interpreting industry. We know that one of the so-called big four companies who run the infrastructure of the UK, Capita, has made inroads into the interpreting market after buying out a small company, ALS, and taking on the MoJ contract in 2011, a mere four months after the contract was awarded. We saw last year a surprise leak about Capita’s shocking charges to the MoJ for interpreting services, only a fraction of which gets paid to its suppliers – the interpreters who fulfil the contract for them. One of the known problems, that still reoccurs in government contracting, is a reluctance to recognise the already existing registers of interpreters. Both ALS and Capita, believed they could create their own register with little knowledge of the interpreting industry. Their version of a register was little more than a list of names of people who had self-declared they could interpret rather than having qualifications and experience. Why is this relevant now? The subject needs to be raised of the independence of existing registers/regulators and statutory regulation. NRPSI (National Registers of Public Service Interpreters) went through a tricky time prior to its independence in 2011 from its then owners, the Chartered Institute of Linguists. ALS had paid to subscribe to the register and used these details to falsely inflate the number of interpreters on its books in order to win the MoJ contract. NRPSI is clearly independent now and operates in a different way. 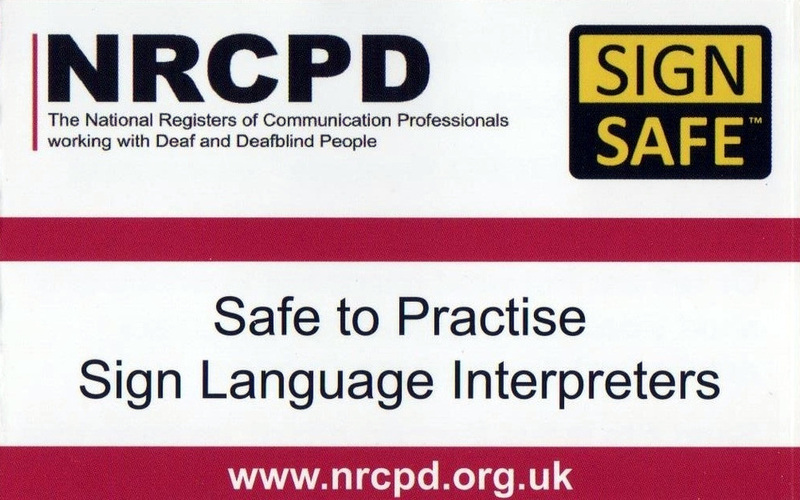 What about NRCPD (National Registers of Communication Profesisonals for Deaf and Deafblind People)? It is still tied to Signature A.K.A CACDP who have used all sorts of excuses not to be independent (litigation – insurance covers that and costs – see lack of transparency of accounting practices). Let’s return to another subsidiary of Capita: Capita Gas Registration and Ancillary Services Limited who runs the Gas Safe Register. How has it come to run the register? 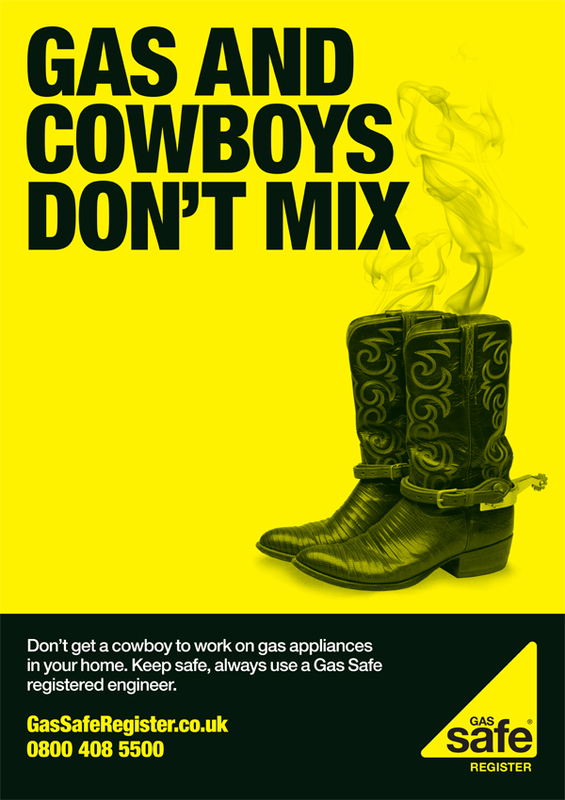 In 1998, the government passed legislation regarding gas safety: Gas Safety Regulations. The Health and Safety Executive reports CORGI ran the register of accredited gas engineers until 2008 when Capita bid and won the second generation contract to run the register for ten years. Even Wiki states that standards fell when Capita took over and profits meant that candidates now just passed a qualification whereas with CORGI they also had to pass an interview held by an inspector. This is an example of how you can push through statutory regulation for what people think is the greater good, for public protection, but then your industry lands up in the hands of a private company anyway. It is an irony that in December 2012 NRCPD decided to name its campaign SignSafe. Or is it? Brett Best is an English/ASL/BSL interpreter based in London and working globally. She is particularly interested in the development of the interpreting profession and establishing strong relationships between signed language interpreters and the Deaf community. I am currently studying in the European Masters in Sign Language Interpreting (EUMASLI) program. This unique program is a joint endeavor between Heriot-Watt University in Scotland, the University of Applied Sciences Magdeburg-Stendal in Germany, and Humak University of Applied Sciences in Finland. Twenty-two professional interpreters from ten different countries meet for several block seminars in each of the host countries over two-and-a-half years. The program has a focus on interpreting theory, research, International Sign and the development of the interpreting profession. In a recent block seminar at Heriot-Watt University, Liz Scott Gibson lectured on the importance of sign language interpreters lobbying policy makers and how to do so effectively. A pertinent take-home message was that alliances are important because they enable the ability to collectively put forth a more powerful voice in order to have perspectives on relevant issues heard. One example is a strong interpreter association. The room was full of anecdotes that quickly put this consideration into an international context. In Greece, for example, I learned that interpreters working in the community sector may wait for up to six months before being paid for services rendered, and the calls on the interpreter association to assert an improvement is routinely met with a response deflecting responsibility by asking that the request be directed to the European Forum of Sign Language Interpreters (EFSLI). Clearly, it is important that the national interpreter association have the power and the ability to enact change. This example especially served to remind me that when it comes to sign language interpreters’ working rights, the pressure to make a difference needs to be asserted collectively. There are two BSL interpreters in the EUMASLI program. When discussion came around to the UK context, our international colleagues were surprised and a bit perplexed to learn that we have two different professional associations. I am a member of the Association of Sign Language Interpreters (ASLI); my BSL interpreter colleague in this program is a member of Visual Language Professionals (VLP). We are both, however, members of the National Union of British Sign Language Interpreters (NUBSLI). I quickly realised over the course of this session on sign language interpreters lobbying policy makers that NUBSLI is in many ways exactly what is needed for sign language interpreters in the UK. In the short time since it has been founded, it has already done a great deal toward politically asserting sign language interpreters’ working rights. One reason for its effectiveness may be that it is our two associations combined. NUBSLI is not an association, but it is the collective voice that we absolutely must have if we are to be heard by those making the decisions that affect our working conditions. When my BSL colleague and I mentioned that we have a union, some interesting case stories emerged from around the globe. For example, there was a successful union initiative in the United States that organised Video Relay Service (VRS) interpreters in demanding a fair hourly rate, and a group of interpreters working for a television station in Spain called on the local interpreter association which then worked jointly with a trade union to successfully prevent unfavourable cuts at their work place. Unions, it seems, may have the metaphorical teeth that so many associations seem to be lacking, teeth that are needed to chew through the bureaucracy of political recognition and change. As a sign language interpreter working in the UK, you need personal indemnity insurance, the support of colleagues, and opportunities to exchange ideas. For these things, join ASLI or VLP. As an interpreter, you also need fair and safe working terms and conditions and a reasonable rate of pay in order for the profession to remain financially viable. To help ensure this going forward, join NUBSLI. I really think that as NUBSLI continues to develop, it will become a shining international example of successful representation for sign language interpreters lobbying policy makers. Perhaps what the Greeks need is a union. I know that I am very grateful that we have one.